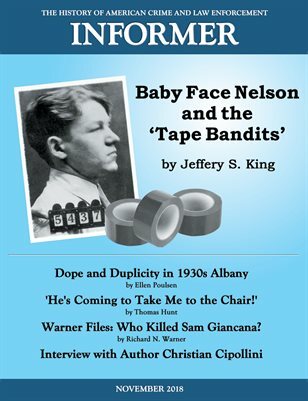 Informer focuses on historical events, personalities and trends related to crime and law enforcement within the United States. 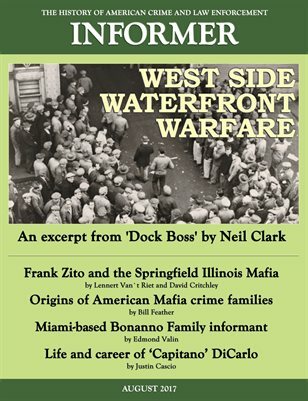 The journal has specialized in organized crime history, in particular the history of the American Mafia. Along with carefully researched and meticulously documented historical articles, Informer regularly presents columns, book reviews and important current events. 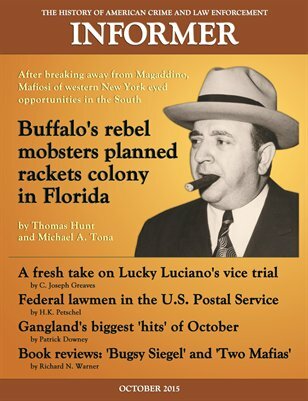 Thomas Hunt, editor/publisher of Informer: The History of American Crime and Law Enforcement, is also coauthor of Deep Water: Joseph P. Macheca and the Birth of the American Mafia and DiCarlo: Buffalo's First Family of Crime, and publisher of The American Mafia history website (mafiahistory.us). 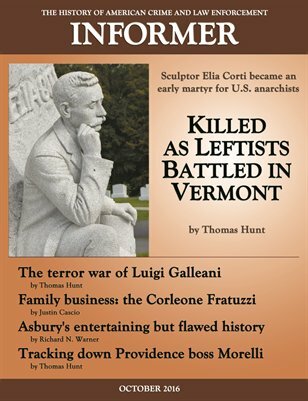 Thomas Hunt, 64 North Main St., Whiting, VT 05778.